Which part of the brain is most affected in deep coma? Coma is a sleep-like state with no purposeful response to the environment and from which the patient cannot be aroused. The eyes are closed and do not open spontaneously. The patient does not speak, and there is no purposeful movement of the face or limbs. Verbal stimulation produces no response. Painful stimulation may produce no response or nonpurposeful reflex movements mediated through spinal cord or brainstem pathways. 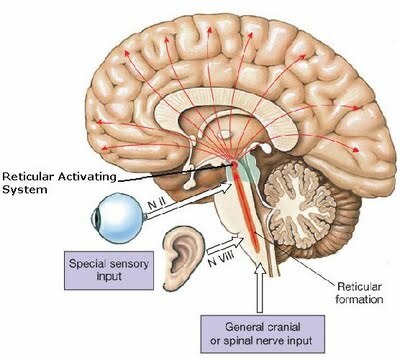 Coma results from a disturbance in the function of either the brainstem reticular activating system (RAS) above the mid pons or of both cerebral hemispheres.